We exist so that students can explore Jesus, Experience Jesus and be Equipped to share Jesus with others. To magnify Jesus' light to a broken world. We believe that out of UH Manoa the islands and the world would be reached. We are a ministry of Cru (formerly Campus Crusades for Christ) which is "a Christian organization founded by Bill and Vonette Bright in 1951 on the UCLA Campus. 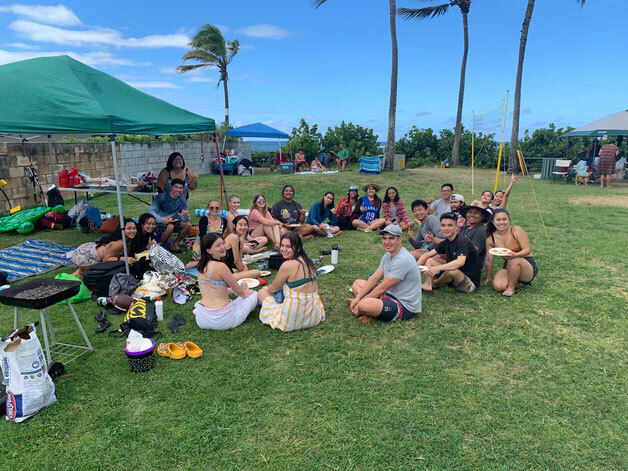 "1 Since 1951, thousands of Cru movements have started on college campuses across the nation and since then made its way to the islands where the movement began on O'ahu at the UH Manoa campus. The Hawai'i movement is part of the Epic Movement ministry of Cru; while the majority of Epic Movements across the nation have a primary focus of building Asian-Americans to have "Christ-centered movements that are culturally meaningful and significant,"2 our movement continues to reach students of all backgrounds, while also using resources created by Epic Movement to reach pockets of our students where bridging culture and the Gospel is needed.